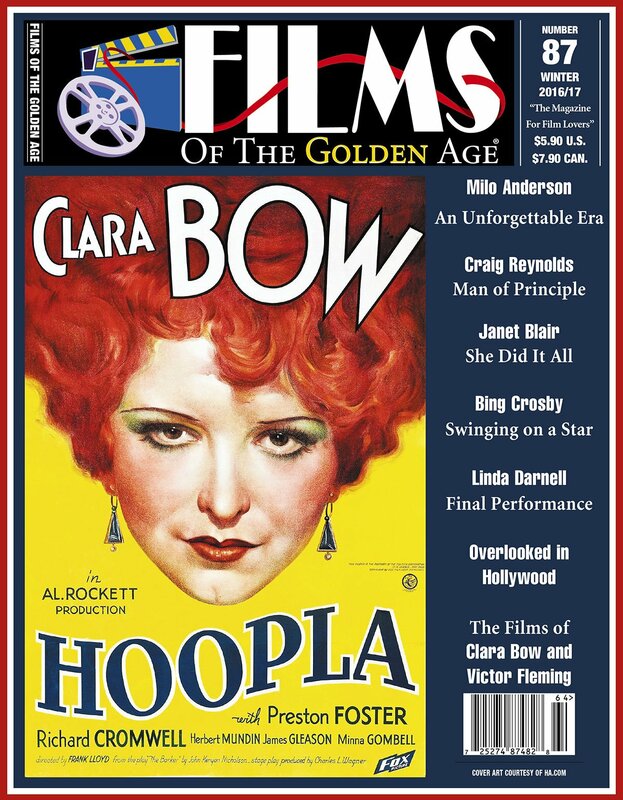 Films of the Golden Age, "The Magazine for Film Lovers" has been published quarterly since 1995. No other publication goes so deeply into film history, covering the entire spectrum, from the great starts and the great films to the bit players and the B movies. If you are looking for information on classic films that no one else can help with, you need Films of the Golden Age.